Speaking with GamesIndustry.biz at last month's DICE Summit in Las Vegas, Netmarble US president Simon Sim lays out the company's three-pronged approach to success: diversification, innovation, and culturalization. The diversification push should be clear to anyone who has followed Netmarble's corporate maneuvering. The company has been branching out well beyond its mobile RPG wheelhouse for several years, acquiring Kabam Vancouver (developer of the mobile fighting game Marvel: Contest of Champions) and investing in casual game studio Jam City (then known as SGN), Black Desert Online publisher Kakao Games, and Big Hit Entertainment, the label representing K-pop boy band BTS. There's likely more to come. The company set aside $4.4 billion for acquisitions two years ago, and is still looking to land some big fish. Netmarble recently assembled a consortium of companies to acquire Nexon and keep the fellow South Korean company from finding new owners overseas. Even though it seems to have fallen short in that bid, it evidently still has an appetite for acquisitions. "In mobile MMORPGs, player behavior, content consumption speed, and accessibility is very different from Asia to the Western market"
"We diversify our genres," Sim says. "We're not just focused on one specific genre. We think users' tastes are different by segment, and it can change as time goes on... When we invest in some companies, we're thinking about diversification." As for innovation, that's a staple tenet of virtually every game company. "One of the key reasons for the success of our company is we're not just following other trends," Sim says. "We're focusing on trends and device specs two or three years later than ... and we start to develop new games aiming for that period." The company's approach to culturalization is more interesting. The question of how to best adapt successful Asian titles to the West and vice versa is a constant in the industry, perhaps because best practices on that front have yet to be agreed upon. "Some games we don't think need to be fully culturalized," Sim says. "For some genres, the player behavior is similar whether they're Eastern or Western. In that case, you don't need to put in too much effort for culturalization; the behavior should be similar. "But in some other games, we think true culturalization is very important. For example, in mobile MMORPGs, player behavior, content consumption speed, and accessibility is very different from Asia to the Western market. So how to meet those territories together? We need to fully culturalize not only the visuals and translation, but the mechanics across systems, difficulty, and learning curve." "Western gamers are less accepting of randomness"
"Visuals or UI/UX could be somewhat different between Asian gamers and Western gamers because they've been playing different genre games before; the acceptance level is different," Sim says. "So when we culturalize MMORPG games, for example, we do a lot of tweaks about UI and visuals, or UX and menu structures, things like that. Also, some growth systems are somewhat acceptable in Eastern markets, but less acceptable in the West because the games they've been playing before have been different. So that part you need to culturalize a lot. "But at the same time, since you watch the currently popular mobile games on the download and top grossing charts, there are many Asian-style games that hit the market. So some Asian mechanics are acceptable to the Western market." For example, Sim says Asian markets have traditionally been more accepting of heavy grinding needed to develop character skills. It was part of the reason the auto-play or auto-pilot mechanic first became popular in Asian games. 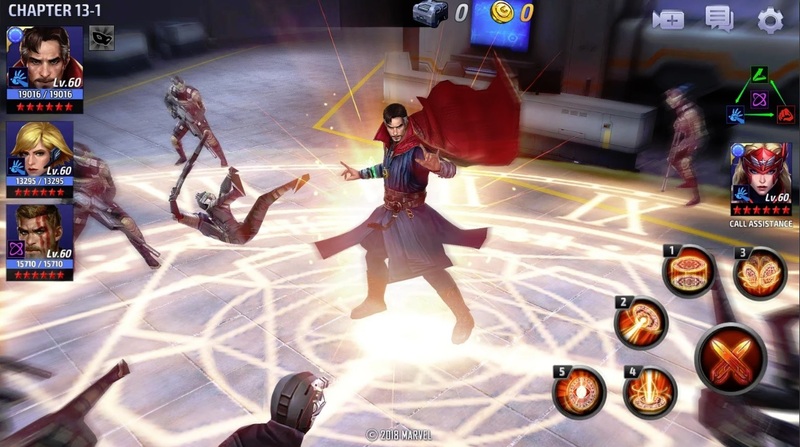 But when Netmarble released Marvel Future Fight, it decided to try out that same mechanic to see if it would be seen as a welcome innovation by Western audiences or a distasteful addition. People accepted it, Sim says, which has helped show how market tastes -- and as a result the best ways to culturalize games -- change over time. "Is this mechanic acceptable or not? Too aggressive? Too light? We keep thinking and testing that"
"The important part is to figure out which part needs to be totally culturalized, and which part could be acceptable in the Western market," Sim says. "If you misunderstand that, then the core fun could be misdelivered." Loot boxes are another part of game design that needs culturalization, Sim believes. While they have been very popular in Asia, he still sees them as "a somewhat challenging business model" in the West, one that needs to be adapted to the market. "Western gamers are less accepting of randomness, so we benchmarked a lot of our competitors which were successful before, and we learned from user behavior on our games that that's true," he says. "We need to tailor that business model to be more acceptable to the Western market." While Sim isn't active in the console market the way he is with mobile, he sees the recent controversy over loot boxes in a number of popular games as a sign that the publishers of those titles might want to consider the same approach to culturalization Netmarble takes. "Behavior is changing, but the acceptance level is not there, and the way to deliver the mechanic should be tailored to meet the players' expectations," Sim says. "That's what we keep thinking. Is this mechanic acceptable or not? Too aggressive? Too light? We keep thinking and testing that."